Congressman Darin LaHood represents the 18th District of Illinois and serves close to 710,000 constituents. Rep. LaHood is an outspoken advocate for creating a better business climate in Illinois and currently serves on the Natural Resources Committee and Science, Space and Technology Committee. 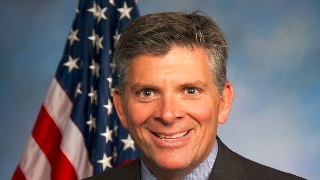 Congressman Darin LaHood will be hosting this live, interactive event for the residents of the 18th district of Illinois to discuss what is most important to them.